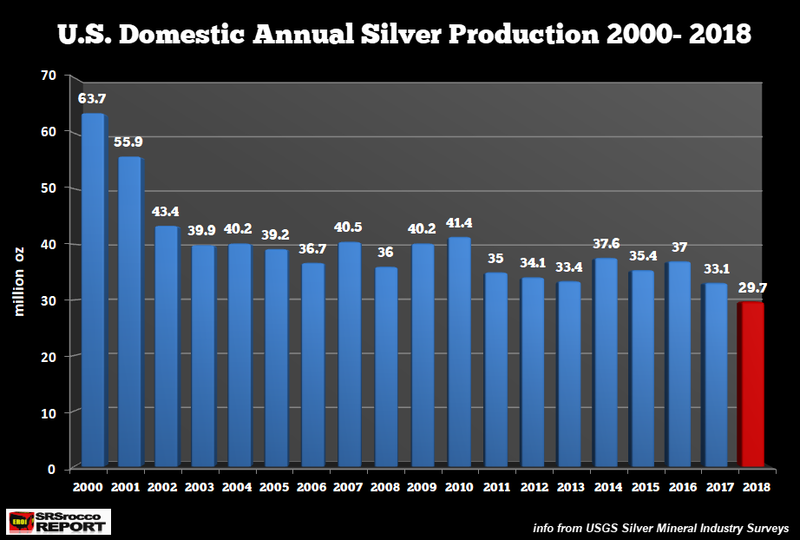 With the latest release by the USGS, silver production in the U.S. is now the lowest in more than 70 years. 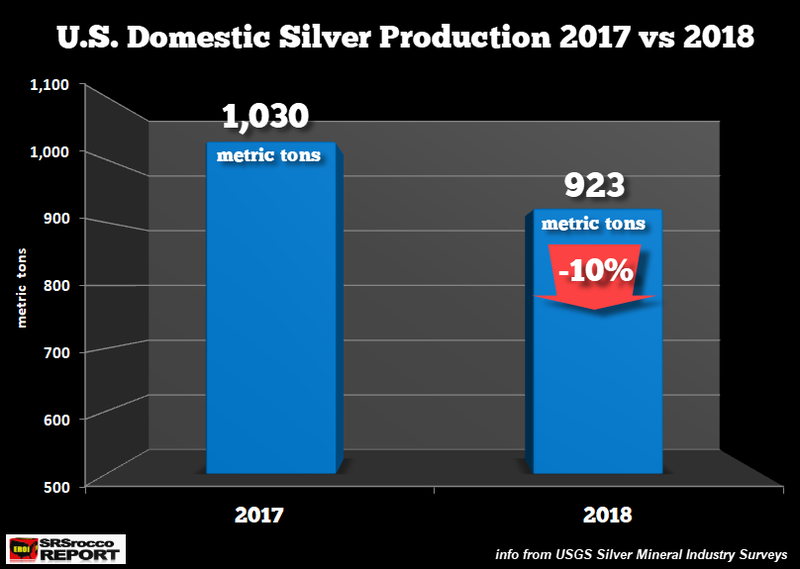 We have to go all the way back until the year after World War II ended to see U.S. silver production less than it was in 2018. While many reasons can be attributed to the decline, the main factors are falling ore grades and mine economics. Unfortunately, there just aren't too many economic silver deposits in the United States, especially with the high level of environmental and governmental regulations. Instead of dealing with all the bureaucracy, companies are looking to Mexico and South America to open new silver projects. I don't have a chart of U.S. silver mine supply over the past 100 years, but I checked the USGS data, and in 1946, the country produced only 713 metric tons (mt) of silver. Interestingly, while silver production had declined due to the war focusing its efforts on other strategic metal mining (2,090 mt in 1941 to 903 mt by 1945), the significant drop off in 1946 was also due to mine strikes at base metal mines and smelters. Because most of the silver is a by-product of base metal mining, the strikes had a profound impact on overall production. 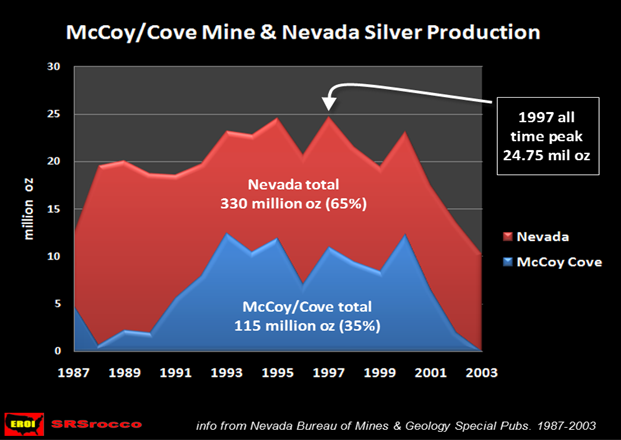 So, even though the shut-down of the Lucky Friday Mine reduced U.S. silver production by 3-4 million oz, it doesn't account for the additional 30 million oz lost since 2000. At some point, Americans will become aware of the monetary properties of gold and silver. However, when they finally do, domestic silver mine supply will likely not be enough to satisfy the demand.